Robots are something fun for all ages….it doesn’t matter if you like watching them or making them! 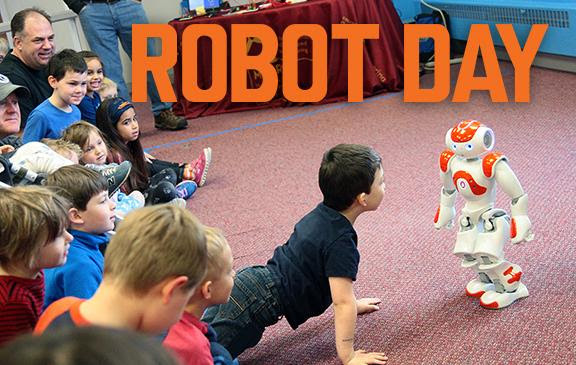 The Works Museum in Bloomington is celebrating National Robotics Week with their annual Robot Day on Saturday, April 13th from 9 am – 4 pm. There’s sure to be something fun for everyone! If you register in advance it’s $9 for everyone older than 2; otherwise, it’s $12 at the door. Every April, The Works Museum participates in National Robotics Week with a special day of robotics fun. 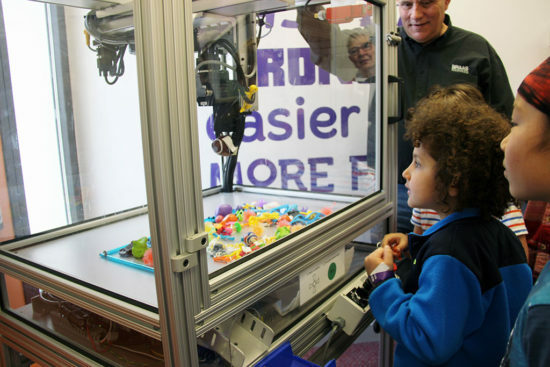 Kids and families interact with robots of all shapes and sizes, as well as meet the engineers and students who build, program, and compete with their robots. Learn about how robots are used to teach, do science, and complete tasks with kid-friendly demos. Some of the robots can even be maneuvered by the kids! With over a dozen activities and demonstrations, this special family STEM day is the perfect opportunity to explore together. Come early. Robot Day starts at 9 am (before our normal open hours). This is a great time to have fast access to presenters. Bring cash or a check if you plan to lunch at Robot Day. Papa John’s Pizza will sell pizza over lunch (and donate 20% of proceeds back to The Works Museum). This is a great opportunity to take an onsite lunch break, but they don’t take credit cards. Or pack your own lunch or snacks to eat in our lunch room. Save money by purchasing your admission in advance ($9 per person over age 2) or consider a family membership. Members receive free admission to Robot Day and a membership pays for itself in just 2 visits for a family of 4. Go at your own pace. All activities are open for the whole event, but you don’t have to do them all. See what inspires your young engineer and stay as long as you like at those activities.